There will be plenty of time for you to explain what is wrong. You will be asked for details of your previous medical history. After taking a thorough case history, the chiropractor will perform a comprehensive examination and an in-depth biomechanical assessment to find out what is wrong and determine if chiropractic is likely to help. The clinics chiropractors will always aim to treat you on your first visit unless x-rays or further investigation is required. The clinic offers 5 individual consultation rooms to give you privacy and confidentiality during treatment. Treatment usually involves precise gentle manipulation, called an 'adjustment', of the spine and other joints. Chiropractors also incorporate other gentle techniques such as ultra sound therapy, taping, soft tissue massage, dry needling. This is combined with advice and patient education. 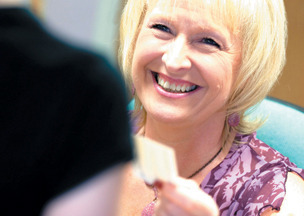 The course of treatment will always be tailored to your individual needs. Typically, acute recent complaints respond quickly between 3-6 treatments. Chronic long standing complaints take longer, typically between 6-12 visits. The average number of treatments is 6. Thereafter, occasional treatment may be required to maintain improvement. If your problem has become chronic (longstanding), or re-occurs frequently, you may benefit from periodic check-ups to maintain improvement. Much like regular servicing for your car! Fees are due at the time of consultation and are discounted for immediate payment. There is an additional charge for account patients. Please note that a charge is made for missed appointments and those cancelled with less than 24 hours notice. 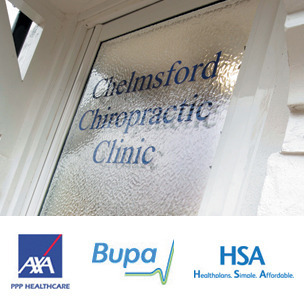 At Chelmsford Chiropractic Clinic we treat patients insured by all the major healthcare providers. We accept cash, cheque and most major credit / debit cards.